A great offer for all ladies football teams out there! 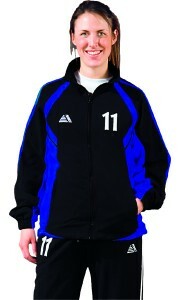 Sevilla Ladies Tracksuits are now available at 50% off making tops just £7.49 each and bottoms just £5.49. These tracksuits are available in sizes 8-10, 12-14 and 16-18 and are specifically designed for ladies and girls football training. These tracksuits are available in 12 different colour combinations. Stocks are limited so check out this unbelievable offer today to avoid disappointment.